Children on Nauru: One in four children on Nauru is suicidal. One in four children on Nauru are 'acutely suicidal'. We can't forget that. It’s been three years since I last visited Nauru and looked in the eyes of the desperate children detained there. Between 2013 and 2015 Save the Children was at the coal face of this human suffering. Our staff were the teachers, the social workers, the child protection officers and the sports and recreational workers who sought to deliver hope to children and their families. It was our staff who counselled a child whose lips were sewn together and logged the claims of abuse and assault. In 2015 children were already at a devastating breaking point. I’ve visited refugee camps in Jordan, Lebanon, Myanmar and Bangladesh where the physical conditions are more confronting, but nowhere matches the all-pervasive and desperate lack of hope that I witnessed in Nauru. We know from damning doctors’ reports this week that children are now in an even more precarious state than ever before. The news yesterday that one in four kids on Nauru are ‘acutely suicidal’ should have shaken parliament into action. But so too should the revelation in Senate Estimates that 11 children and their families were flown to Australia for urgent medical attention on Monday night. Or that an 18-year-old was medically evacuated with septicaemia on the weekend. Protesters call for the closure of offshore detention centres. Image: Getty. In August, 119 children were living on Nauru and many had been born there. Some children of school age have known only this existence, marooned on a tiny island in the middle of the Pacific. 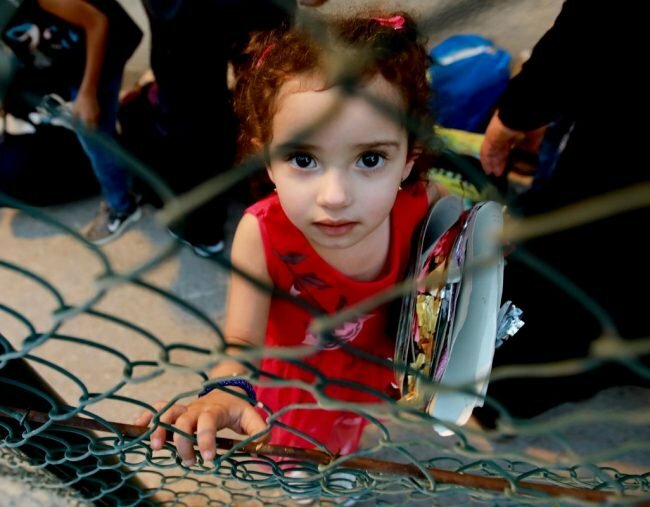 Since August, more than 60 children have been evacuated off the island after legal interventions, which in most cases were orders to provide urgent medical attention. And yet still no change. 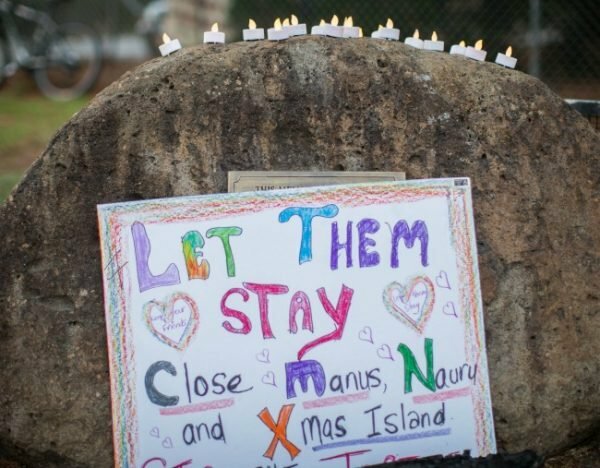 There are still 50 children, and more than 600 people in total, trapped on Nauru in effective, indefinite detention. And we know it is the fact they’re trapped on Nauru indefinitely that is contributing to their deteriorating mental and physical condition. Six thousand doctors made that very clear in their letter to the Prime Minister ahead of the Wentworth by-election. Médecins Sans Frontières also made that crystal clear upon being ejected from Nauru earlier this month, along with the Australian Government-contracted chief medical officer. But the Governments of Nauru and Australia have a history of shooting the messenger rather listening and taking decisive action. Remember it was when Scott Morrison was Immigration Minister that 10 Save the Children staff were ordered to be deported from Nauru, and an investigation launched into allegations of inappropriate conduct which had a ruinous impact on their professional reputations and personal wellbeing. 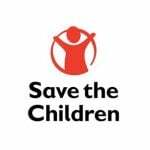 Three reviews subsequently cleared Save the Children and its staff from any wrongdoing. The Immigration Department was ultimately required to pay compensation to Save the Children and the impacted staff for the false allegations. No doubt such actions were at the forefront of the former Home Affairs official&apos;s mind when he spoke out against the Government’s policy this week, having already quit his role a week ago. He made the critical point that, with the government’s turn-back policy in place, there is no evidence whatsoever that the resettlement of refugees in Australia or New Zealand will ‘re-start the boats’. Surely, five years trapped in limbo and the threat of being met by a flotilla of Australian Navy vessels is a sufficient deterrent. Perhaps that’s why it was so disappointing this week to see the Prime Minister apparently back track on his willingness to consider New Zealand as a feasible resettlement option. When the Opposition – which shares blame for the current stalemate – finally lifted its head above the political parapet and offered to compromise on the New Zealand offer, it was met with a cynical response from the Prime Minister that “Labor have always been for weaker border protection policies”. Our nation is better than this. Hundreds of thousands of voices, emails and signatures have called for the Government to get #kidsoffnauru. It’s time our Government and our Parliament listened. Mat Tinkler is Save the Children&apos;s Director of Policy and International Programs.